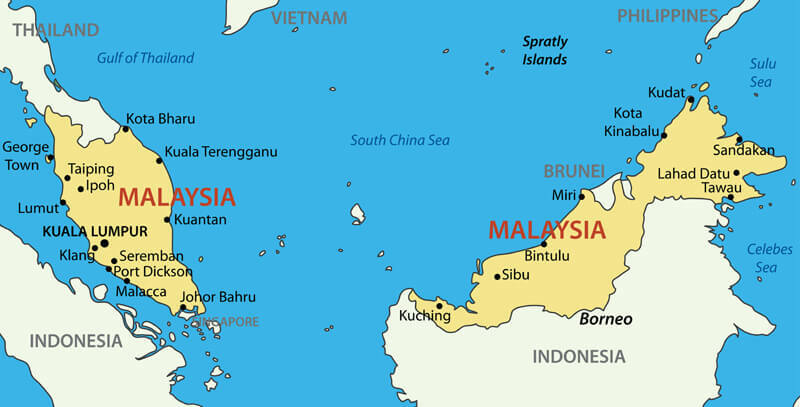 Navigate Malaysia map, satellite images of the Malaysia, states, largest cities, political map, capitals and physical maps. 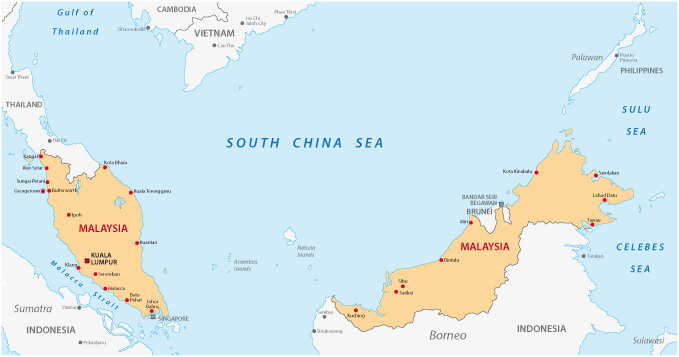 Malaysia Map with main cities. Malaysia Political Map with major cities. Map of Malaysia with main roads. 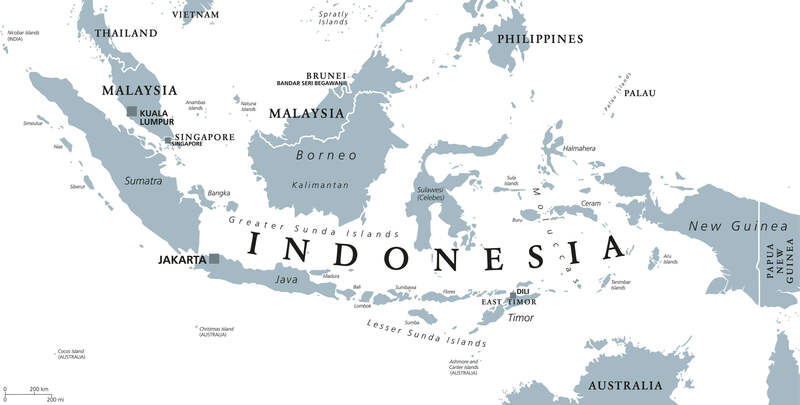 Indonesia political map with capital Jakarta, islands, neighbor countries Malaysia, Singapore, Brunei, East Timor and capitals. Gray illustration with English labeling on white background.